The True Gift of Empath Life! We don’t always realize it, but life is a series of linked events; each one leading to the next, like the spots on a child’s dot-to-dot puzzle. Yet, most are unaware that the seemingly random occurrences, of daily life, are in any way pivotal to the course of our destiny. A chance meeting that happened 10 years ago may bring about an incredible job offer tomorrow, or a difficult situation endured in our teens may have helped us cope with an incident in our forties. Because our mind is kept so busy trying to make sense of life’s conundrums, we are often kept from connecting the dots on our unique and mysterious life puzzle. Our sensitivities and busy or stressed minds may also prevent us from seeing what a true gift being an Empath is. The majority of us work hard trying to figure out life. We may wonder where our true purpose lies or we may constantly find ourselves looking at ways to fit into this crazy old world. Sadly, much of our present life is missed because our mind gets stuck in the past reliving old hurts or it skips off into the future searching for hope. It’s funny how we have been programmed to think our happiness lies in our gains. We are led to believe our future goals, will bring deserved and long sought after happiness. But how many of our life accomplishments came and went without being enjoyed or celebrated? Probably not too many. Was that because they did not bring with them the feelings of completion or fulfilment we expected? You’ve probably already passed exams, got the job you applied for, bought the car or home, travelled the world, found a partner, enjoy financial stability, had children… In fact, when you stop and look at how much you’ve already achieved in life, you will see there’s been a lot to celebrate… So, if true contentment comes with our accomplishments shouldn’t we be ecstatic? So why do so many of us feel disconnected or dissatisfied with our lives? It may certainly appear that the Empath is destined to go through life feeling unfulfilled or overwhelmed, and that happiness is a destiny that belongs to someone else. But I know for sure that does not have to be the case. Yes, there are many things that come with being an Empath that make life difficult: getting hurt easily, feeling other’s emotional pain and often being a beacon for negativity. Yet all the difficulties we have endured have built an incredible resilience and strengthened us in ways we cannot begin to imagine. It is easy to forget that we came here for a reason: to experience life as an Empath and the many challenges that go with it. Because it can certainly be a challenging path to walk. It is often strenuous, painful, overly emotional and sometimes lonely. But it is also enlightening, invigorating and electrically charged and, when we allow ourselves to see it, a true gift! We just need to change our perspective. As an Empath, we can boast of life experiences that few can expect to have. We feel things others don’t and we have a strong sense of intuition that will take us to all the right places, if we allow it. Sometimes, we purposely make life more difficult for ourselves, without realizing. And sometimes we allow ourselves to wallow in self-pity or we get stuck in victim mentality. We may also subconsciously choose to ignore what we need to do to keep us safe and sane on our journey, but the keys to our happiness are always there for us to find, when we are ready. 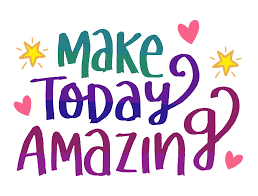 We don’t have to wait, we can choose today to make it happen. A shift in our perspective is all it takes to change our whole outlook. It is, after all, only in the here and now where we get to experience true contentment, but we have to choose it first. It is easy to see dark or challenging times as punishments, but when we come through the other side we often find an incredible gift inside the experience. 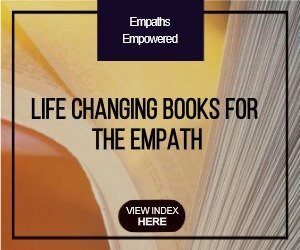 The experiences we have as Empaths really are unique, and every difficulty we have endured and overcome has catapulted us forward, shaping the course of our life. Everything we have experienced has brought us to where we are now, but it is up to us how we perceive our own reality. We have a choice. If we only allow ourselves to see the dark, that is all we will know. When we focus on the silver lining of every experience we will always see it. « 50 Ways for a Happy Empath Life! Loved this post! Extremely well said. Thank you for sharing. ok new here and trying the site.. right enpath fr sure so getting pissy but would like some more info help? Reblogged this on cingrace's Blog. The journey of the Empath is very much about self discovery. What works for one may not work for twenty others. There are many posts and pages on this blog with info on what I have found helpful on my journey and what I use to stay grounded etc. Hope you can find something within this space that may help you on yours. Thank you for sharing such a beautiful insight. I have personally learned to take some wisdom from the little sea turtle. When the storms prevail on the surface of the waters, the sea turtle dives into the deep. Down he goes where the water is peaceful. We too must step away from the storms of life, be it our bathroom, backyard or backporch steps and take time to allow everything to pass over while we just breathe. Peace and Blessings to you and thanks again for providing a place to JUST BE! The value of our own self worth is everything in this world, if you don’t know your own Identity you can never truly be the person you are meant to be, help others and succeed in life,etc. Thank you again for your terrific posts of wisdom ! !